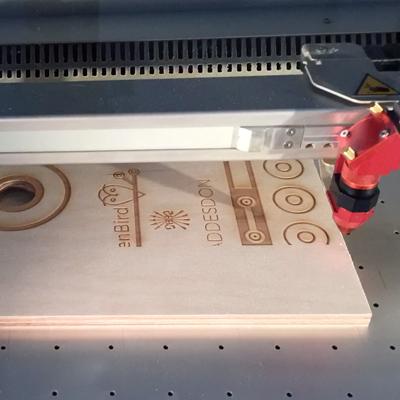 It is a bit of a cliché, but we couldn’t resist posting this time lapse video of the nest box front panel being laser etched with our new design. Many thanks to Rob Wallace at Laser Engraving & Design. The design reflects the interesting things going on inside the nest box! We have the batteries at the base, the CiBi500 device represented by a bar load cell, the inner box on top of that, and finally the nest box camera above. It will be interesting to see how it weathers and changes.